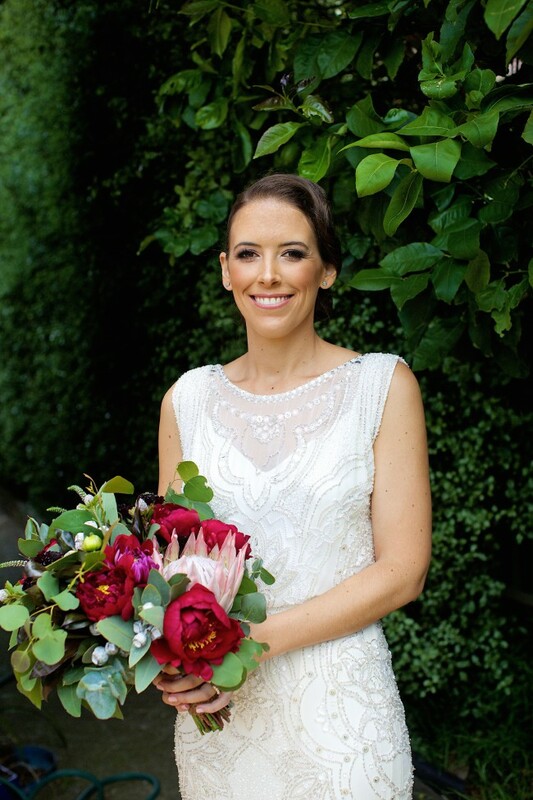 I felt so wonderful wearing this dress on my big day and have always thought that it is just too gorgeous to sit in a cupboard. I want another bride to feel just as wonderful in it. It is an absolute stunner. I bought this dress on a visit to the UK. The height from the original dress has been unaltered - I am 5'7" and it fit perfectly to the floor with high heels on. There is a short train at the back and a hook and eye to hook it up after you're done with the formalities (or as you choose). The weight of the beading on this dress (it is fully beaded) makes it very flattering - it is heavy and drapes beautifully, with a beautiful old world feel to it. I had a tailor add a hidden elastic waistband to the dress - I lost a bit of weight before the wedding and found that this helped to hold it up around the waist. Note that I also have the bead pack that goes with the dress should it need alterations. Some bead work around the hem needs repairing (not really noticeable unless you look very closely), but all of the beads needed are included in the bead pack, which I am including in the price (RRPAUD400). This dress has been dry-cleaned and is in great condition. If serious about buying, I would be happy to have you come and try it on. As noted, an elastic waistband that could be easily removed. I found it help to hold the dress up. Once you send a message, Bridey can invite you to purchase the dress.